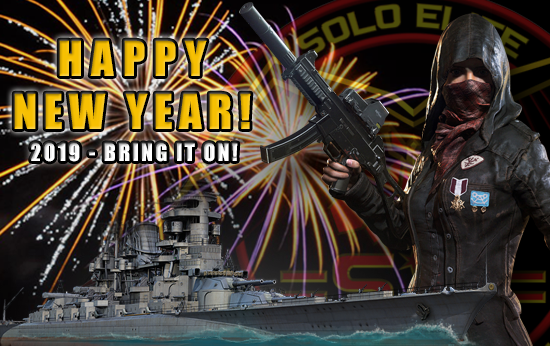 On behalf of everyone at Solo Elite, we would like to wish all our members, friends and family a very Happy New Year! We look forward to seeing you on the battlefield in 2019! =S*E= RattleR Happy New Year! =S*E= Fenumeher Happy New Year! =S*E= FULCON-ARROW Happy New Year everyone! 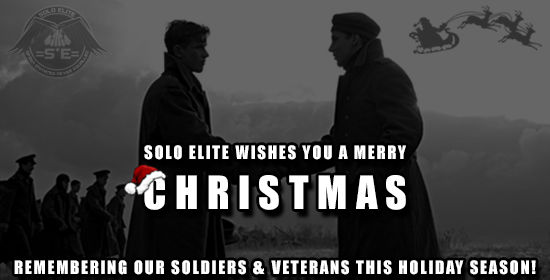 Merry Christmas from Solo Elite! Merry Christmas everyone! 19 years of online gaming, where has the time gone? Only 1 more year to go until we celebrate our 20th birthday; what a amazing acheivment! On behalf of the Council I want to thank all our members (and your families) for your continued commitment and support during 2018. It is thanks to our dedicated brotherhood of members that we are in such a strong position. Heading into 2019 we want to capitalise on this years success and continue with our steady expansion of the team whilst ensuring quality of quantity. We will continue to explore and embrace new games that are released and will remain flexible in the way in which we operate. It is our primary goal to ensure that Solo Elite remains a innovative, fun and enjoyable gaming environment for all our dedicated members for years to come! On behalf of everyone at Solo Elite we would like to wish all our friends and family a Merry Christmas and a Happy New Year! The best players in the world call it 'home', the rest call us Solo Elite! =S*E= RattleR Merry Christmas to all ! 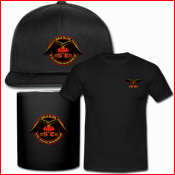 =S*E= RoguE Merry Christmas to all of our friends and relations!